All embedded lovers are familiar with multimeter which a great tool to measure voltage, current, resistance etc. A multimeter can measure them easily. But sometimes we need to measure inductance and capacitance which is not possible with a normal multimeter. 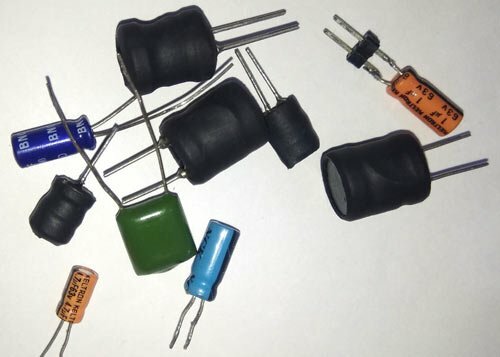 There are some special multimeters that can measure inductance and capacitance but they are costly. We already built Frequency Meter, Capacitance Meter and Resistance meter using Arduino. So today we are going to make an Inductance LC Meter using Arduino. 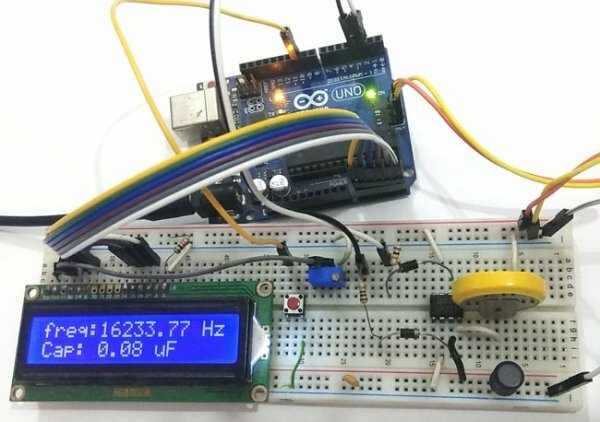 In this project, we will show the inductance and capacitance values along with the frequency over 16×2 LCD display. A push button is given in the circuit, to switch between capacitance and inductance display. Here we have a push button to change the mode of operation whether we are measuring inductance or capacitance. A 16×2 LCD is used to show inductance or capacitance with the frequency of LC circuit. A 10k pot is used for controlling the brightness of the LCD. Circuit is powered with the help of Arduino 5v supply and we can power the Arduino by 5v using USB or 12v adaptor. 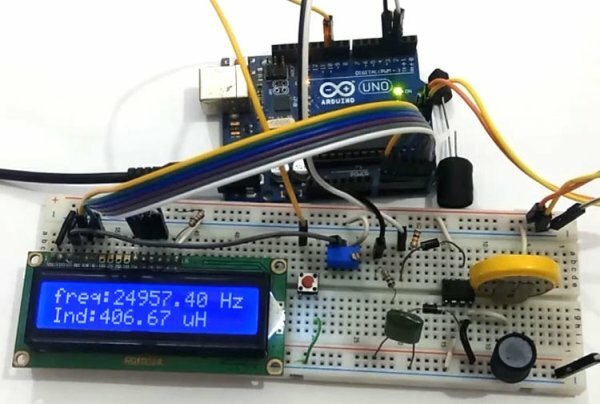 So this is how we calculated frequency, capacitance and Inductance using Arduino and displayed it on 16×2 LCD.